Members of the Southwest District had a full agenda March 20, with updates from ODJFS, the Regional Training Centers, PCSAO and trustees, and counties. Workforce challenges, judicial practice, and kinship supports were just a few of the topics discussed. The district next meets May 15. Registration has opened for the 2019 PCSAO New Executives Orientation May 23-24 in Columbus. Space is limited, and priority will be given to agency directors and child welfare administrators. Contact Scott Britton if you are a director or administrator who did not receive the registration information. On March 18, Senator John Eklund met with Commissioner Kathleen Clyde, JFS Director Kellijo Jeffries, and Child Welfare Administrator Tammy Devine to discuss the state of Portage County Children Services and voice support for the $74 million budget increase proposed by Governor DeWine. Commissioner Clyde also met with the Administration team to learn more about Job & Family Services. Each administrator provided a divisional overview regarding number of employees and their program and services in each division. She concluded her afternoon in each division to not only meet staff, but to also see each division's location. As of March 22, the budget bill has not been introduced, but on March 20 the Health and Human Services Cabinet Directors testified before the House Finance Committee. Directors included ODJFS Director Kimberly Hall, ODODD Director Jeff Davis, ODMHAS Director Lori Criss, ODM Director Maureen Corcoran, ODA Director Ursel McElroy, and ODH Director Amy Acton. Testimonies from all the directors can be found here , under the March 20 hearing. Rules in Pre-Clearance: As of March 22, no children services-related rules were in pre-clearance. A procedure letter clarifying OAC 5101:2-42-05, “Selection of a Placement Setting,” is in Clearance through April 1. The letter clarifies the procedure when a PCSA or PCPA finds a non-custodial parent to be an appropriate placement for a child. Click the rule number to go to the Register of Ohio website for details about the rule filing. Registration for the 10th annual opiate conference, Ohio’s 2019 Opiate and Other Drug Conference: Promoting Solutions for Addiction Throughout Ohio, is now open. Hosted by the Ohio Association of County Behavioral Health Authorities, in partnership with the Ohio Department of Mental Health and Addiction Services and the Ohio Department of Rehabilitation and Correction, this year’s conference will take place June 10-11 at the Hyatt Regency in downtown Columbus. The conference will bring 1,200 attendees from Ohio and the surrounding region for two full days of education related to addiction. You can visit the conference web page to learn more about keynote speakers and breakout sessions, and register here. 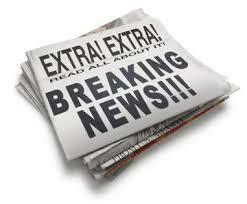 The Ohio Children’s Trust Fund (OCTF) Board recently approved the revised Statewide Grant Application. The purpose of this funding application seeks proposals from organizations interested in supporting the OCTF’s mission to prevent child abuse and neglect through investing in strong communities, healthy families and safe children. The maximum amount of funding available to individual applications through this grant is up to $75,000, with matching funds or in-kind contributions of 20% required. For calendar year 2019, any organization wishing to apply is required to electronically submit a completed application packet to the OCTF by the following due dates: May 1, Sept. 3, and Nov. 1. Completed applications should be emailed to OCTFGrants@jfs.ohio.gov and more information pertaining to application guidelines and required application forms can be found here . The Trust Fund will also be hosting a non-mandatory question and answer webinar on April 2 at 10 a.m. The Trust Fund plans to record the webinar and make it available for applicants. To register for this non-mandatory webinar, visit here . After registering, you will receive a confirmation email containing information about joining the webinar. On March 20, the Ohio Job and Family Services Directors' Association (OJFSDA) hosted a webinar regarding how to utilize PRC for Ohio’s new Kinship Caregiver Program. The webinar discussed the purpose of the program and specific PRC plan requirements as well as operational needs and fiscal requirements. It was well attended, with nearly 200 people participating. OJFSDA has also provided the slides that were presented . Gov. Mike DeWine's administration is off to a strong start through simple measures like trying to work with local governments across Ohio again. Gov. Mike DeWine’s first two-year budget proposal surprised many by its focus on human needs, and by delivering what he promised, especially regarding the needs of Ohio’s children. It also would finally boost aid to the state’s local government partners and is the first such GOP proposal in years not to include an attempted tax cut. Hope’s Closet in Hamilton has had great success helping Butler County find and keep foster families. Executive Director Sarah Coleman combined a fun boutique where needy kids and their foster parents can shop for essentials and where volunteers can find out more about the system. On one of the first warm days of the year, Rachael Hartzler stood in front of the open windows of a friend’s home, writing recipe cards in neat print. Carlisle has never before had so much to detach from: Counting soon-to-be closed cases, her caseload sits at 40, or more than three times the recommended number for an Ohio child-protection worker. Twelve- and 14-hour days are common. She and her colleagues take turns with overnight on-call "shifts" that last a week. Three of the agency's seven caseworkers quit in recent months, making it difficult for others to claim badly needed vacation and sick days. Guernsey County Children Services accepted 554 reports in 2018 — a 4 percent increase over 2017 and a 12 percent rise from 2016 — which resulted in 86 new children entering agency custody. That is up from 71 the year before, according to a Children Services report. 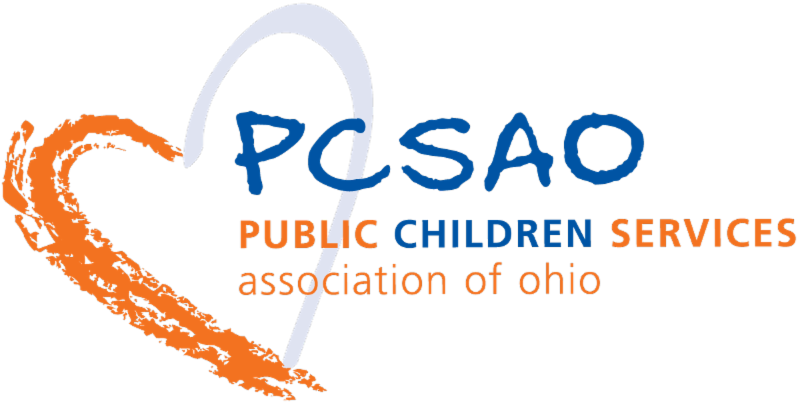 Ottawa County is a longstanding member of Public Children Services Association of Ohio, which is working with county agencies across the state and other stakeholders to support the Governor’s proposals.